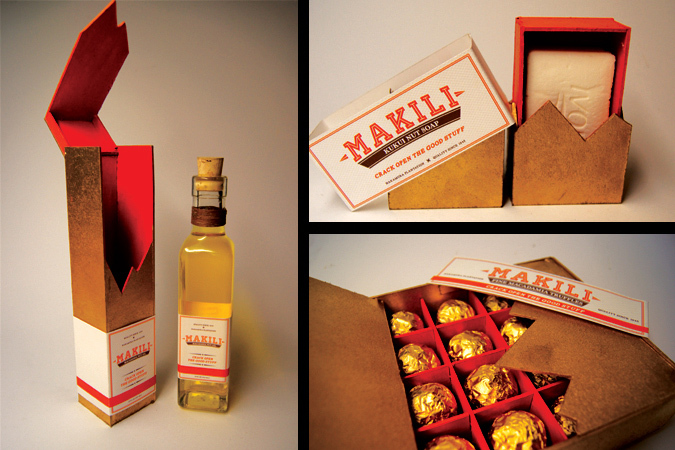 For this Packaging Project I wanted to really emphasis the work that goes into cracking open Macadamia and Kukui Nuts. 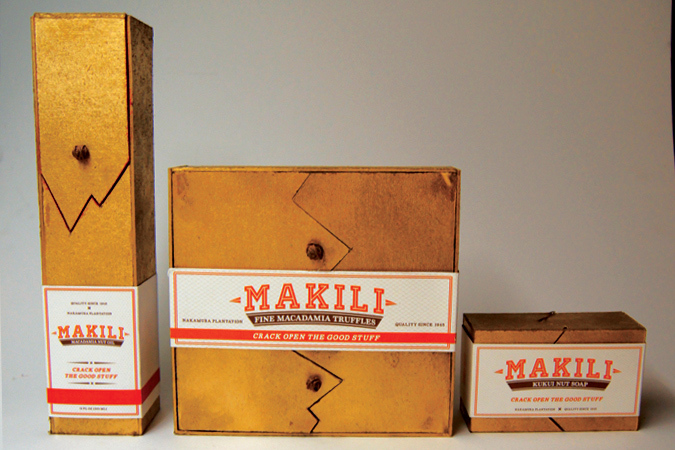 Through research, I learned that Makili means “cracked” in Hawaiian, and from that I created a brand name and cohesive packaging scheme that invited user interaction, and provided a high quality appeal. The Products shown are soap, cooking oil, and truffles.